Surgery for deep-seated brain lesions without causing significant trauma to the overlying cortex is difficult because brain retraction is required to approach these lesions. The aim of this study was to determine the efficacy of endoport-guided endoscopic or microscopic removal for deep-seated lesions using the neuronavigation system. Between October 2008 and December 2009, 21 patients (17 men and 4 women; average age, 40.8 years) underwent endoport-guided endoscopic tumor removal. We adapted the transparent tubular conduit, so-called “endoport,” to target the lesions under the guidance of neuronavigation. We then determined the efficacy and limitations of this technique with fully endoscopic removal, compared with standard approaches using a spatula retractor. Gross total resection of the lesions was achieved in 14 of 21 patients (66%), and partial removal occurred in four (19%) patients. However, there was failure to remove the lesion through the endoport in three patients (14.3%), requiring the use of blade spatula retractors. In reviewing the seven cases with either failure or partial removal, it was found that a large tumor size (≥3 cm) and calcified lesions were the major factors limiting the application of this technique. Endoport-guided endoscopic surgery facilitated an accurate and minimally invasive technique for removal of these deep-seated brain lesions. This procedure required a protracted learning curve although, when successful, this approach can minimize brain retraction and provide satisfactory visualization. This study was partially supported by a grant of the Korea Healthcare technology R&D Project, Ministry for Health & Welfare Affairs, Republic of Korea (A092255), and by the Samsung Biomedical Research Institute grant #SBRI C-B0-303-1. Due to the improved neuroimaging techniques, very small lesions also can be detected. In case these lesions are deep seated, it is necessary to find these lesions precisely with a single trajectory, and it is desirable to remove the lesion in a minimally invasive technique without damaging the surrounding brain tissue. This means that the approach should be as small as possible but great enough to remove the entire lesion safely. Different solutions for this problem have been realized in the past. P. Kelly introduced by frame-based stereotactic technique a conduit tube in front of the lesion, with sufficient diameter to remove the lesion under a microscope. Another possibility consisted of frame-based or frameless implantation of a ventricle catheter into the lesion. The catheter was then cut at the level of the brain surface, and it was possible by preparation along the catheter with microsurgical technique to remove the lesion. In the last years, the minimally invasive techniques were increasingly dominated by endoscopy. The endoscopic technique provides excellent vision and orientation in cavities such as the ventricles. Also, in pituitary surgery with the narrow transnasal approach, the wider endoscopic view proved to be superior to microscope-based operations. In the brain substance without additional support, the endoscopic view is not sufficient to remove tumors. In this paper, the group of Kwang-Wook Jo presents an interesting solution for this problem. They introduce by navigation a transparent tubular conduit to the lesion and are able to remove tumors up to 3 cm in diameter using mostly an endoscope, which is introduced through the tubular conduit. By means of this technique, in most of the patients, application of retractors was not necessary. It seems that this technique works very well close to the ventricles. But the authors reported also on tumor removal entirely in the white matter. I think it is a promising technique for removal of a small lesion. However, I would hesitate to use this technique, due to the diameter of the conduit, in lesions of the basal ganglia or thalamus. Jo et al. present their experience with the endoport-guided endoscopic removal for deep-seated lesions in 21 patients. The endoport was inserted using a neuronavigation system. Gross total resection was achieved in 14 (66%) of the 21 patients. Partial removal was performed in three patients (14%). In four patients, the procedure was converted to a standard microsurgical approach using brain spatulas. Tumor size and calcifications were predictive factors of failure. No complications occurred. 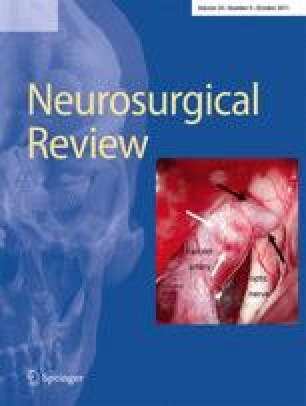 The authors concluded that endoport-guided endoscopic surgery facilitated an accurate and minimally invasive technique for the removal of deep-seated brain tumors. This is another report of a modified Kelly technique showing the feasibility of the endoport technique and the limitations. Unfortunately, no data are provided which demonstrates an advantage for the patient compared with the standard microsurgical approaches. I usually approach intraventricular lesions within narrow ventricles via a transcallosal route. The callosotomy is about 1 cm which is sufficient in many occasions. In my opinion, the surgical trauma is less than with the endoscopic endoport technique. Much less brain tissue is transsected with this approach! Furthermore, the sheath used by the authors is rigid and limits a free movement of the instruments. I prefer two 5-mm spatulas fixed to a self-retaining holding device and microscopic visualization with endoscopic assistance as required. The spatulas can be moved together to change the angle and approach trajectory. Since this is not a closed tube, there is more space for instrument maneuvering. The patient depicted in Fig. 3 would be an ideal candidate for a transcallosal approach! Randomized trials comparing the microsurgical and endoport approaches are required to prove the statement of the authors that the endoport can improve patient outcomes and avoid complication rates in some selected deep-seated brain lesions! And finally, small intraventricular tumors and colloid cysts can be nicely removed with a ventriculoscope which is less invasive than the endoport used by the authors.